"Hey dude, what happened to March?" I know, I know. The last volume to come out was February. Well, we moved. It was a big, traumatic move that involved four sets of attorneys, two estate agents (one not speaking to her own client, the other ... well, never mind), a building crew, a busted geyser, a busted electrical gate, a swimming pool that resembled the black lagoon, and a computer that was standing idle at the other house. The only way they will get me out of this house is when they wheel me out to the frail care unit. Or worse. There will be a volume 3 for March, I promise. Someday, probably after volume 12 is all nicely wrapped up. 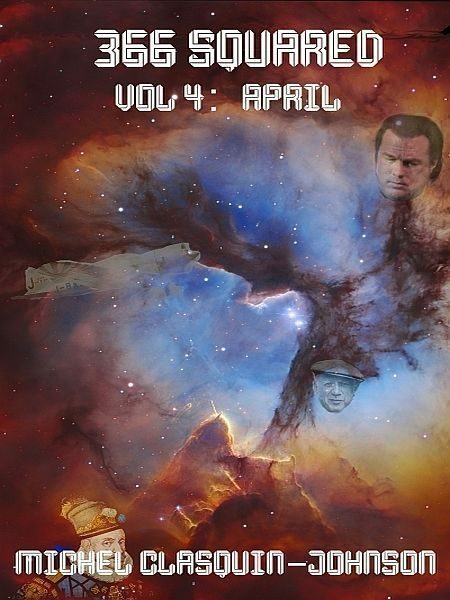 Meanwhile, this is Volume 4: a little less fantasy than back in February, and a little more straight historical fiction. As for the science fiction stories, I've come to realize that the problem of writing science fiction about historical events is that you end up doing a lot of time travel scenarios. A few mini-essays, as usual, although this month, they do tend to be about the day itself, not just a random essay used to fill up the spaces.